Undulating fairways, panoramic views of rolling hills afar, friendly wind conditions and scenic signature holes including a 663 yard par 6 can make each golfing experience a memorable one. The Pattana Golf Club & Resort offers a 27-hole professionally crafted and designed championship golf course. 골프 여행, 기업연수, 골프와 축구 대회 또는 가족과 친구들과 여유롭게 즐길수 있는 최적의 장소. The Pattana Golf Club & Resort offers a 27-hole professionally crafted and designed championship golf course. Situated and sprawling throughout the a 400-acre resort property. Each of the three 9-hole courses aptly named Andreas, Brookei, and Calypso (after the cacti found throughout the property and course) presents themselves with a variety of welcomed challenges. Undulating fairways, panoramic views of rolling hills afar, friendly wind conditions and scenic signature holes. Including a 663 yard par 6 (one of only two golf courses in Thailand) can make each golfing experience a memorable one. Our golf courses and facilities offer the perfect challenge for both experienced and leisure golfers. Also ideal for families, friends, and even larger groups and specially arranged tournaments. The Pattana Golf Club & Resort offers a spacious 3-storey Clubhouse with all the supporting services and amenities including locker rooms, pro shop, spa, international restaurants, and function rooms. We welcome all guests with great ambiance and full services to ensure that each golfing experience is an unforgettable one. Birdy Pro Shop keeps all the necessary equipments and souvenirs fully stocked. Rental golf bags and shoes are also available. Pattana Golf Club and Resort is the perfect choice for your upcoming golf event. Our challenging championship course and wonderful banqueting facilities can serve your need for a specially arranged tournament. After the golf game, we can also cater an outstanding party dinner to make a great ending to your great day. From pre-event planning to the final awards presentation, our attention to detail and commitment to superior personalized service can ensure the success of your event. All arrangements can be made in advance through our Sales Team. 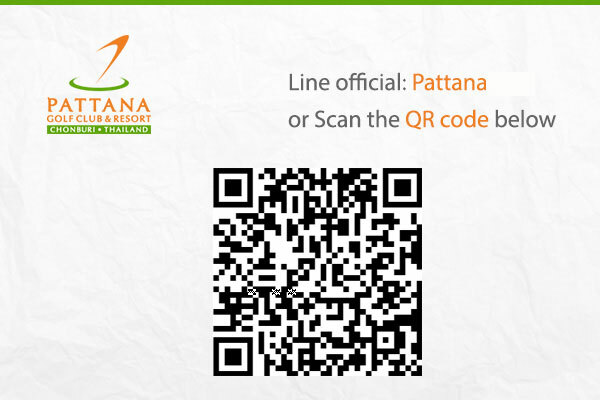 Please contact 038-318-999 or email marketing@pattana.co.th for more information. Pattana Golf Challenge We also organize our own golf event – The Pattana Golf Challenge, an annual golf tournament for all amateur golfers to compete in a fun and friendly tournament. The prize for winners includes a trip to play golf aboard.